In 2015, Miami-Dade adopted a new marijuana possession law. In misdemeanor marijuana possession cases — meaning cases where the defendant is alleged to possess 20 grams or less — Miami-Dade police officers can simply issue a fine for the offense. This citation is similar to a basic traffic violation, like a speeding ticket. Yet, despite the partial decriminalization of minor marijuana possession, many people in our region are still being arrested for this crime. According to reporting from the Miami New Times, misdemeanor marijuana possession arrests in the Miami area were up in 2018. In many cases, officers are arresting people even though they could simply issue a minor fine instead. 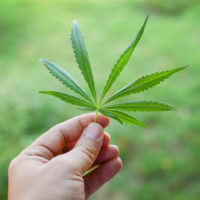 If you were arrested for marijuana possession in Miami, FL, it is imperative that you speak to an experienced criminal defense attorney immediately. While our region’s political leadership has made moves to reduce the impact of marijuana criminalization, many people are still being arrested for possession of small amounts of marijuana. The Miami New Times reports that 2,107 people were arrested for misdemeanor marijuana possession in Miami-Dade County in 2018. For reference, that is a nearly ten percent increase of marijuana possession arrests compared to the previous two years. Unfortunately, there is also significant evidence that indicates that there are racial disparities in how Miami police are handling marijuana possession cases. Since 2015, at least 6,000 people in Miami-Dade County have been arrested for marijuana possession even though they were eligible for a citation. The Miami New Times noted that law enforcement has provided geographic statistics. Based on the observed racial disparities, it is very likely that certain precincts within the Miami metropolitan area are arresting people for misdemeanor marijuana possession than are other precincts. Even in a cultural environment where marijuana use is becoming more acceptable — recreational use is permitted in many U.S. states — it is still banned by federal law. It would be a major mistake to view a misdemeanor marijuana possession charge as a ‘minor’ issue. If you are convicted of this offense or if you plead guilty to drug possession, you will have a criminal record — and that record could have a serious impact on your future. If you were arrested for marijuana possession, you need to take immediate action to protect your rights. Our Miami criminal defense lawyers can help. We will review the specific nature of your case and build a proper defense. In many cases, you may be eligible to get your misdemeanor marijuana charges downgraded to a ticket. This will allow you to preserve your clean criminal record. At Ratzan & Faccidomo, LLC, our Miami criminal defense lawyers have extensive experience handling marijuana possession claims. We are committed to protecting the legal rights of our clients. If you or your loved one was arrested for marijuana possession in South Florida, you need a strong advocate on your side. To schedule a free consultation, please call our Miami law office today.